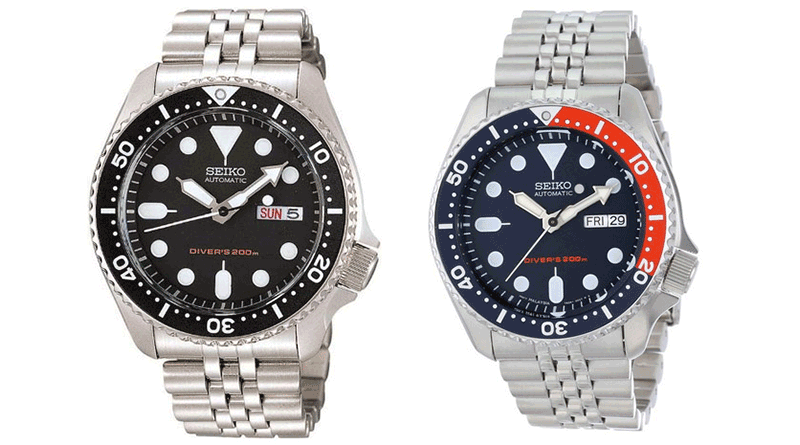 It’s hard to believe that production commenced on the Seiko SKX007 almost two-decades ago, in October 1996. Since then both the SKX007 and the SKX009 have been world-wide sensations and the most recognizable and affordable divers watches on the market. TTT are excited to announce that they will be re-release on Australian shores in August 2016. Unfortunately not even Seiko could confirm an exact delivery date in August, so we advise against an Apple iPhone style camp-out. Before you say it, I can already hear the purists grabbing their pitchforks and flaming torches because they aren’t releasing the (unjustifiably) coveted ‘J‘ models. TTT preempted this and sat down with Seiko who have officially informed TTT that there is absolutely no quality difference between the ‘K’ (made and cased in Malaysia) and the ‘J’ (made and cased in Japan). Both are powered by the same automatic Seiko 7S26 movement, which is machine assembled (as opposed to hand-assembled like the Grand Seiko collection) and both models meet the same stringent Seiko quality testing requirements. The only discernible difference is the dial advises ‘Made in Japan’. Why purchase from the Boutique instead of eBay? Seiko Boutique will guarantee authenticity and will provide a 5 year warranty to boot. Keep your eyes on the Seiko Australia Boutique website, where you’ll find both watches available as soon as they clear customs. Still hungry for more information? Try this.